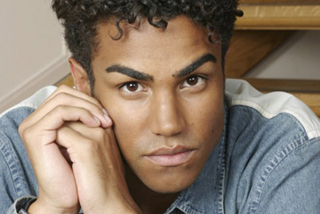 LOS ANGELES (AP) — TJ Jackson was one of Michael Jackson’s favorite nephews. An heir to the family’s musical talent and striking good looks, he is the son of Tito, one of the original Jackson Five. Largely unknown to the American public until now, he has been anointed as co-guardian of Michael’s most prized treasures — his three children. Suddenly, TJ is the chosen Jackson, the one designated to work beside Michael’s mother to look after the welfare of his three cousins Prince, 15, Paris, 14 and Blanket,10, who will inherit the King of Pop's fortune. Now, three years after his death, Michael's children are at the center of a familial battle and TJ’s role has become even more important. Recently, Katherine Jackson was reported missing and Beckloff replaced her with TJ as the children’s guardian. Now she’s back, telling a story of having been held virtually incommunicado at a resort in Tucson, Ariz., unaware that she was the subject of a missing person’s report. In 2010, the 3T group reprised Jackson’s “We Are the World” with various famous voices to benefit Haiti relief efforts. The brothers also have appeared on reality TV shows with other members of the Jackson clan and have toured overseas.